►Fellow of IIM, Ahmedabad, India (1982-1988). Got the best research proposal in 1986. ◆Worked as a Marketing executive and in-charge of MIS. Prepared the marketing strategy and coordinated the all India sales. Also prepared distribution plans for over 20000 two wheelers all over India. ◆Worked as Maintenance In-charge in Rear Axle Shop, Press Shop and Frame Assembly Shop. Gained experience in maintaining various general and special purpose machines. ◆Worked as Design Engineer in the Machine Tool Division. Designed hydraulic and pneumatic circuits for hydraulic presses, general purpose and special purpose machines. ►VIJAYSHREE AWARD, 2005, India International Friendship Society, New Delhi, Award given at the hands of Honorable Minister Shri Haroon Yusuf, Minister for Transport and Power, Govt. of Delhi. ►GLORY OF INDIA GOLD MEDAL, 2005, International Institute of Success Awareness, New Delhi, Award given at the hands of Dr. Bhisham Narain Singh, Honorable Ex Governor of Tamil Nadu State, India. ►The biography is included int he book titled, "2000 outstanding intellectuals of the 21st century" edited by Sara Rains, International Biographical Centre, St. Thomas Place, Ely, Cambridgeshire, CB7 4GG ENGLAND, 2007, Fourth edition, P.526; ISBN: 1903986257. ►Prof. R. R. K. Sharma, LFIBA, Life Fellow, International Biographical Association, St. Thomas Place, Ely, Cambridgeshire, CB7 4GG ENGLAND. ►Prof. R. R. K. Sharma, The LIBC Leading Educators of the World 2005, given by International Biographical Centre, St. Thomas Place, Ely, Cambridgeshire, CB7 4GG ENGLAND. ►Prof. R. R. K. Sharma, The IBC Decree of Excellence, given by International Biographical Centre, St. Thomas Place, Ely, Cambridgeshire, CB7 4GG ENGLAND. ►Prof. R. R. K. Sharma, Deputy Director General of International Biographical Centre, given by International Biographical Centre, St. Thomas Place, Ely, Cambridgeshire, CB7 4GG ENGLAND. ►Prof. R. R. K. Sharma, Hon. Director General of International Biographical Centre, given by International Biographical Centre, St. Thomas Place, Ely, Cambridgeshire, CB7 4GG ENGLAND. ►Prof. R. R. K. Sharma, The Archimedes Award, given by International Biographical Centre, St. Thomas Place, Ely, Cambridgeshire, CB7 4GG ENGLAND; to be received at OXFORD UNIVERSITY, ENGLAND in 2006. ►Prof. R. R. K. Sharma, The AMERICAN MEDAL OF HONOR, given by American Biographical Institute, Inc, 5126 Bur Oak Circle, PO Box 31226, North Carolina, 27622, USA. ►Prof. RRK Sharma, nomination to IBC’s Hall of Fame, International Biographical Centre, St. Thomas Place, Ely, Cambridgeshire, CB7 4GG ENGLAND. ►Prof. RRK Sharma, nomination to IBC’s Life Time Achievement Award, International Biographical Centre, St. Thomas Place, Ely, Cambridgeshire, CB7 4GG ENGLAND. ►Prof. RRK Sharma, nominated as 2006 Man of The Year, American Biographical Institute Inc., 5126 Bur Oak Circle, PO Box 31226, North Carolina, 27622, USA. ►Prof. RRK Sharma, biographee, Marquis Who's Whoin Asia, 890 Mountain Ave, Suite 300, New Providence, NJ 07974, United States of America. ►Prof. RRK Sharma, biographee, Marquis Who's Who in Science and Engineering, 890 Mountain Ave, Suite 300, New Providence, NJ 07974, United States of America. ►Prof. R.R.K. Sharma, Invited to Join the Editorial Board of AIMS International Journal of Management. ►Prof. RRK Sharma, nominated as 2008 Man of The Year, American Biographical Institute Inc., 5126 Bur Oak Circle, PO Box 31226, North Carolina, 27622, USA. ►Prof. RRK Sharma, Judged as OUTSTANDING EDITOR : AIMS International Journal of Management, at AIMS-6 conference, Dec 28-31, 2008; held at Greater Noida. ►Prof. RRK Sharma, Judged as OUTSTANDING MANAGEMENT RESEARCHER, at AIMS-7 conference, Dec 20-22, 2009; held at IIM Bangalore, India. Award given at the hands of Prof. MR Rao (Ex Director: IIM BANGALORE INDIA and Ex Dean Indian School of Business, Hyderabad, INDIA). ►Prof. 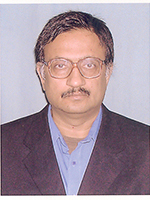 RRK Sharma, awarded the title of "FELLOW of AIMS INTERNATIONAL", at AIMS-9 conference, Jan 1-4, 2012; FLAME PUNE, India. ►Prof. RRK Sharma, recipient of the Dr Manubhai M Shah Memorial Award 2013 instituted by the INDIAN COMMERCE ASSOCIATION (ICA). Award carried a cash prize of Rs 1 Lakh, trophy and a certificate of excellence.